Hey fellow sketchers! Here are some sketches from my Veterans Day. 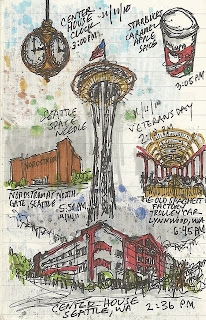 I love it when the Space Needle has a flag on top. I went to the Harry Potter exhibit at the Science Center and I would recommend it to any Harry Potter fan! 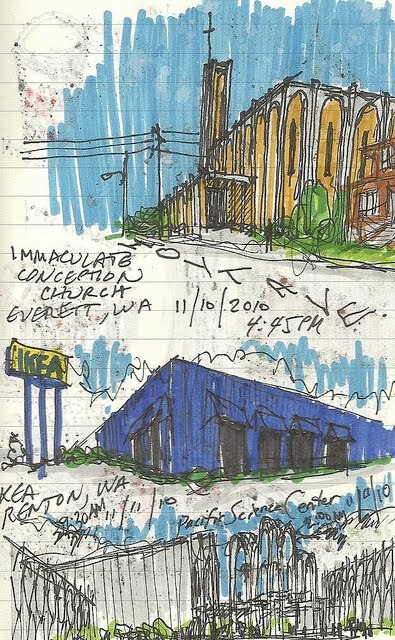 Along with Seattle Center I also drew a church in Everett and IKEA in Renton.